Is your company looking to save money by switching to used pallets? 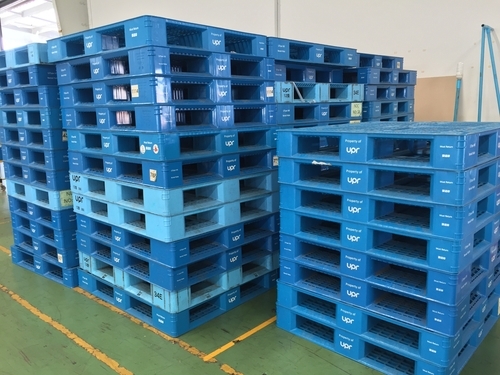 Plastic pallets are a great way to store and ship products around the world. They’re lightweight, durable and completely reusable, so your company can save money over the long term. If this is your first time working with used plastic pallets, here are some important considerations to keep in mind. Why Invest in Used Pallets? If you’re still on the fence as to whether your company should invest in used pallets at all, here are a few reminders as to why this is the best choice for your company. Investing in used shipping and storage materials helps your company save money. These items generally cost much less than brand new materials, helping your company reign in its production costs. While wooden pallets may cost even less than used plastic pallets, they won’t last as long, which means your company will just have to buy a new set several months down the line. 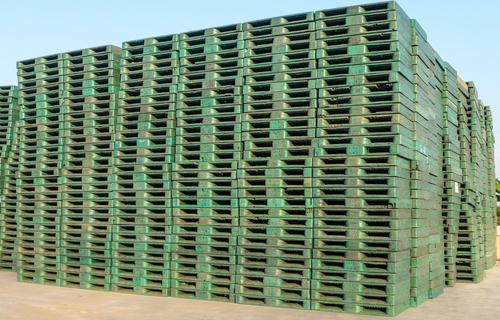 When it comes to shipping and storage, plastic pallets will always be the most cost-effective option. Shipping containers and packaging currently account for 29.7 percent of all municipal solid waste here in the U.S. By switching to used or reusable storage materials like used pallets, your company can reduce its effect on the environment. You won’t have to throw out your old packaging and storage materials with every order that goes out for delivery. Wooden pallets take up precious natural resources, so it’s always better to choose plastic over wood to help keep as many trees in the ground as possible. Once you invest in used plastic pallets, remember that these items have been used in the past. So, before you send out your first order, refer to this used pallet checklist to keep your products and customers safe. When you want to buy used plastic pallets, it’s best to find a reputable pallet reseller that has a long history of selling quality products. 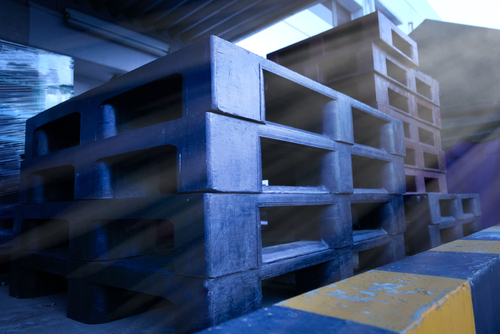 If one of your used pallets is defective, you could put your products and employees at risk. Instead of worrying about how well these used pallets will hold up under pressure, find a used shipping container store that you trust. Every time you order more shipping and storage materials, you can rest assured that you’re getting your money’s worth. Regardless of how much you trust your shipping container reseller, you should always inspect your used pallets before stacking your products on top. You and your employees should get in the habit of using the same pallet inspection form when evaluating these products. Some things to look for include: dents or bends, cracks or slivers, and debris or dust trapped in the holes of the pallet. Based on the results of this inspection, label the pallet with either good, meaning it’s ready to go into rotation, repair, meaning it needs to be repaired, or dispose, meaning this pallet has seen the end of its days. If the pallet appears defective in any way, it’s best to take it out of circulation so you won’t put your products or employees at risk. By not inspecting your pallets, there’s always a chance the pallet could collapse or infect some of your products. Don’t forget to clean the pallet thoroughly before putting it into the system. Use a hose to wash any dirt off the pallet. You may need to use a cleaning solution to get rid of any debris, dust or dirt that may be hiding in between the cracks. If you put a dirty pallet into rotation, it could infect your products or make the pallet less stable over time. There’s more than one kind of pallet. Your company can work with either metal or plastic pallets. But the material you choose depends on what you’re trying store or ship. Metal pallets are best used for outdoor storage, while plastic pallets are better suited to indoor storage for items like food, pharmaceuticals and industrial chemicals. Used pallets are a great investment for your business. You can save the environment and increase your bottom line. Make sure they’ve been inspected and cleaned thoroughly before you start stacking your products on top.